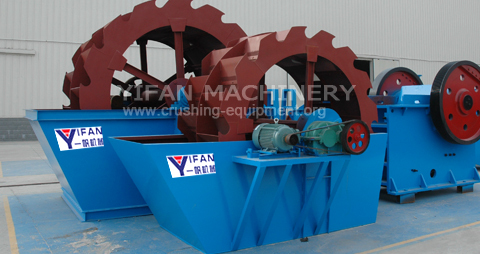 XS Series Sand Washer is a bucketed sand washer, mainly used to washing and drying building material. 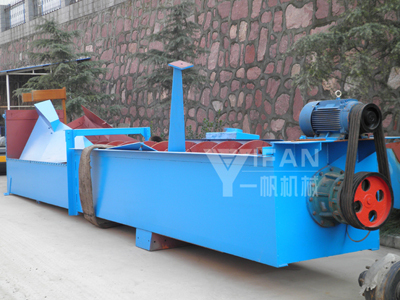 XL series sand washing machine can wash and separate the soil and foreign material in the sand. Its novel structure, adjustable overflow dam baffle and reliable arrangement can make sure the result of wash. It is widely used to wash, classify, rid impurities, and choose the coarse from the fine in the industries of highway, hydropower, construction, and so on. It is better to wash construction and road sandstone. XL series sand washing machine has the characteristics of reasonable structure, convenient maintenance, high output, low power consumption, and high degree of cleanness. Its novel sealed structure, totally-enclosed oil-bath transmission system, and adjustable overflow slice ensure the characteristics of high efficiency, durability, cleanness, and good dehydrating effect, and reliable product size.